It can’t be an easy way to earn a living, ferrying people wherever they want to go. Sometimes just a short drive away; sometimes a drive of an hour or more. What am I talking about, I hear you ask. Taxis. It is a precarious kind of existance. Sometimes, it might seem as if there aren’t enough hours, the fares come so thick and fast. Other times, the hours must drag by as a driver waits and waits in the hope that somebody, somewhere will need his (or her) services. Why am I writing about taxis? Well, you would think that somebody who spends all day behind the wheel of a car would be a pretty good driver. You would. However, in reality, taxi drivers seem to be unable to grasp the essentials of road safety. Signalling? No chance. Leaving suitable braking distance between themselves and the vehicle in front? Do me a favour. Sticking to the speed limit? I should cocoa. Of course, it depends if there is a passenger on board. If there is, you can bet that the taxi is the fastest thing on the road. If it is just the driver in the car you could probably walk faster. Why is that? Where am I heading with all this? [My thoughts exactly. Yawn. - Ed.] Yesterday, I saw taxi-driving at its worst and was on the verge of tearing up my driving licence vowing never to drive again. Let me explain. Early in the day, I was driving along a street which had speed ‘humps’ to slow traffic down. Every hundred metres or so, there is a pair of humps. They are there to keep the speed down to 30mph. These humps are positioned side by side, one on each lane of the road. The correct way to approach them is to ‘centre’ them so that the car wheels roll over the lowest part. By straddling the hump in this way it is possible to drive fairly quickly with only a slight bump. If you misjudge the move and don’t have the hump centred, it can cause quite a jolt. There is a way to avoid any jolt at all, but it is not only illegal, it is downright dangerous. If you drive down the centre of the road, the wheels don’t touch the humps at all. It is a dodgy manoeuvre to attempt and nobody in their right mind would do it unless there was no other vehicle on the road. So it came as a bit of a shock to me yesterday when I was driving along this road with several cars coming in the opposite direction. All were straddling the humps in the proscribed manner except one which was heading towards me along the centre line. I actually had to brake quite suddenly to ensure that my car didn’t have its bodywork altered. I could see the panic on the face of the driver of that oncoming car; he obviously hadn’t noticed a large red vehicle approaching him. You have already guessed this driver’s profession, haven’t you? Yep. Taxi driver. Another incident happened later in the day. I have told you before that I live in a town which had as its CB ‘handle’ (I know all the modern jargon.) [Modern??? - Ed.] Polomint City. The reason for this name is the profusion of roundabouts. On the roads. I’m not talking about swing parks. At the last count it was something over 600. I’m not making that up. There really are that many roundabouts on the town’s roads. Obviously, some of these are of the ‘mini’ variety; one of those two-metre diameter concrete pancakes designed to confuse motorists as they approach it and can’t decide who has right of way. It is one such that nearly resulted in the demise of yours truly. This particular small roundabout is positioned where the street on which I live meets the main road (the same road that has the humps, incidentally). The procedure for using this roundabout is the same as any other: give way to vehicles on the right. With me so far? I approached the end of my street and wished to turn right. Thus, I stopped, checked that no traffic was coming from my right and, seeing the road clear, I began to move. I don’t know why I didn’t set off quickly, but, thank goodness, I didn’t. A vehicle on the main road, screamed across my path at around 50 miles per hour (on a 30mph limit road). The driver had made no attempt to slow to see if there was a vehicle approaching from his (it was a he) right. He couldn’t have done. He drove as if there was no roundabout there. Need I tell you what he did for a living? Uhuh. Taxi driver. I don’t think he had been using those speed humps properly, either. How else could he have reached that speed? A third incident was even more scary. I was approaching a roundabout (a different one) on the inside lane and signalling to turn left. With me so far? I was about to enter the roundabout when a car drew up on the outside lane. It was driven by a man, incidentally. I set off. So did he. I turned left. So did he. Honestly. From the outside lane, he turned left. A dangerous manoeuvre, I am sure you will agree. I might have been the sort of dithering old codger [You said it. - Ed.] who signals without meaning to. I might have left the indicators on from the previous roundabout. In other words, I might have been planning to go straight on at that roundabout. I’ll give you three guesses what the driver did for a living... apart from drive like a maniac, that is. Got it in one. That isn’t the end of yesterday’s road incidents. I was driving along a dual-carriageway. It was about a mile long stretch between two full-sized roundabouts. I entered this stretch of road and saw a car being driven, not very quickly, along the outside lane. Now, that is wrong. It wasn’t a taxi driver, incidentally. The outside lane of any road should only be used for overtaking, in my view. Such behaviour can frustrate drivers who want to travel quicker. And so it did. I was travelling along the inside lane, the front of my car tracking the rear of the car in the outside lane. Then it happened. The driver of the car travelling behind me, dropped a gear and pulled quickly into the outside lane to pass me. He (Yes it was a he.) then ‘jooked’ in front of me to pass the car hogging the outside lane. Fortunately, I braked because, if I hadn’t, my car would have been reshaped by this overtaking/undertaking loony. As soon as he passed me, he dropped another gear and scooted into the outside lane in front of the slow-moving vehicle. He then raced ahead before having to brake suddenly for the fast-approaching roundabout. As he was braking, he cut back into the inside lane causing the drivers of the cars on the inside lane to brake harder than would normally be required. By the time I reached the roundabout, I had moved into the outside lane as I was going to turn right. I had to stop at the roundabout, as did the overtaking loony. He was now to the left of me, there being another vehicle in front of each of us as we approached the roundabout. As we moved off, the car in front of me moved off at a reasonable rate while the one in front of loony was rather slower. What did loony driver do? He apparently decided he didn’t like following that car and simply drifted across my path as he straightened out the line of the roundabout as if it and I weren’t there. Once again my car’s brakes were employed to prevent some metalwork reshaping. I’ll give you three guesses what that nutjob of a driver did for a living. Actually, I won’t. I can’t, because I don’t know. But if he ever fancied becoming a taxi driver, he seems perfectly qualified. Indeed, I think he might be a bit over-qualified. Were any famous or notorious people born on the 22nd of April? Of course. Here are some I’ve even heard of. Henry Fielding 1707 (Tom Jones’ dad. ), J. Robert Oppenheimer 1904 (Now I am become Death, the destroyer of worlds. ), Eddie Albert 1906 (Actor blacklisted by HUAC in the 1950s... ‘Everyone was so full of fear. Many people couldn't support their families, or worse, their lives were ruined and they had to go out and do menial jobs. Some even killed themselves.’), Kathleen Ferrier 1912 (Contralto singer. First clip of the week is her rendition of Blow the Wind Southerly. ), Yehudi Menuhin 1916 (Fiddle player. ), Charles Mingus 1922 (The Angry Man of Jazz. Clip number two coming up. Here’s Goodbye Porkpie Hat. ), Aaron Spelling 1923 (Ay Ay Ar Oh En. ), Glen Campbell 1936 (Country singer and actor. Diagnosed in 2011 with Alzheimers, here is his final, poignant recording, I'm Not Gonna Miss You. ), Jack Nicholson 1937 (Here’s Johnny. ), Steve Fossett 1944 (Fly guy. ), John Waters 1946 (Director of cult films. I said cult. ), Peter Frampton 1950 (Geetarist. Here’s an early clip from his days in The Herd. Recorded at the height of flower power... From the Underworld ), Paul Carrack 1951 (Highly regarded musician. Clip number five features his most famous toon. ), Lloyd Honeyghan 1960 (Boxy bloke. ), Ricardo izecson dos Santos Leite 1982 (Who? Oh, Kaka, the well-known footballer. Hang on, doesn’t Kaka translate as poo? ), David Luiz 1987 (Long-haired footy bloke. ), John Obe Mikel 1987 (Footy bloke.) and Oscar Gonzalez 1990 (At this point I would normally say simply ‘Boxy bloke’. However, in view of this man’s brief career, I will say more. In his last bout he was knocked out in the tenth round. He suffered severe brain damage and immediately fell into a coma. Two days later, he was pronounced dead. He was 23. Am I the only one who wants to see this barbaric sport banned?). Well raced into the lead with goals from Chris Cadden and Louis Moult. Inverness replied through Alex Fisher, who turned Liam Polworth's tame effort into the net. Fisher equalised after the break with a delightful lob but a Scott McDonald goal and a header from Allan Campbell won it for the hosts. Rory Loy's controlled finish put the buoyant Buddies ahead before Lee Miller equalised from close range for Falkirk. Captain Stephen McGinn restored Saints' lead with a wonderful 20-yard curler. But substitute (ex Motherwell man) Bob McHugh, 20 seconds after his arrival, popped up to hammer home a second equaliser. Brechin actually took the lead with Andy Jackson’s 23rd minute left footed shot into the bottom right corner. Alloa equalised just two minutes later with a Stefan McCluskey header. Number two for Alloa came from Greig Spence on 32 minutes. Alloa’s third came immediately after the break when a Calum Waters cross was met by Jason Marr who netted from close range. Alloa’s fourth came courtesy of a penalty from Spence after Graeme Smith was red carded for a foul on Calum Waters in the penalty area. Goal number five came from an Iain flannigan free kick into the top right corner. On 83 minutes Flannigan grabbed his second and Alloa’s sixth to complete the rout. What about this week’s predictions? How whopping is that? Moderately, I would say. Teaser time. Yay! Last week I asked you who was the player that Manchester United paid a record transfer fee for prior to Paul Pogba. The answer was Angel di Maria for a ‘mere’ £59.7 millions in 2014. After one year, during which he made 27 appearances for Man U, he was sold on to PSG for £44 millions. Thus, he cost Man U over half a million quid for every game he played and that was before his hefty pay packet was taken into consideration. One for this week? Let’s have a Scottish football question and it concerns the 1998 World Cup squad. Which Scottish midfielder nearly emulated his father by playing in the 1998 World Cup finals, but remained an unused squad member? And finally, Cyril? 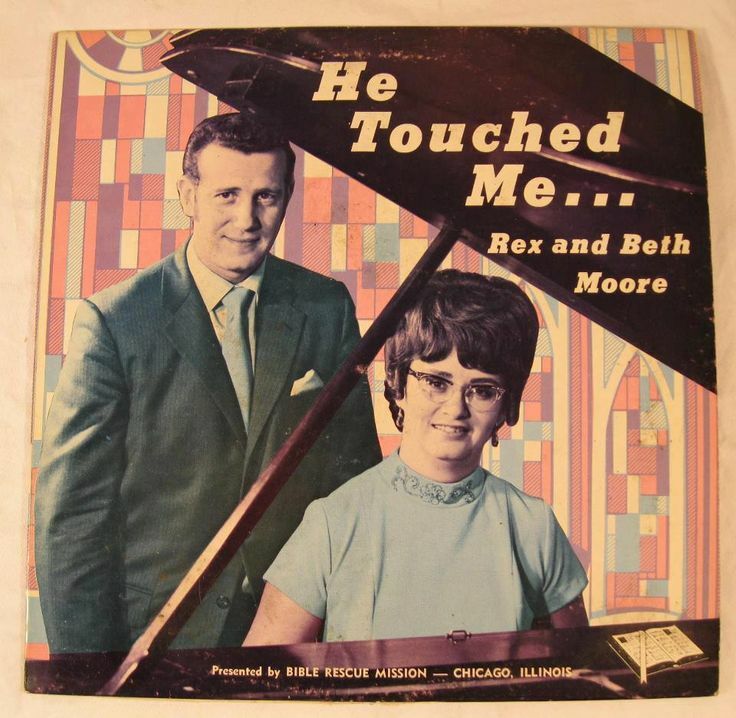 And finally Esther, I am indebted to R and B Moore who finish this week’s (g)ramble with something we haven’t had for a while - the dodgy album cover. 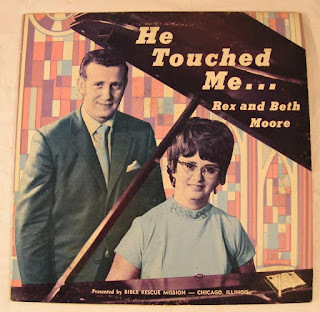 We know what the title refers to, but old Rex has a guilty look on his coupon, it could equally be a complaint from Beth.